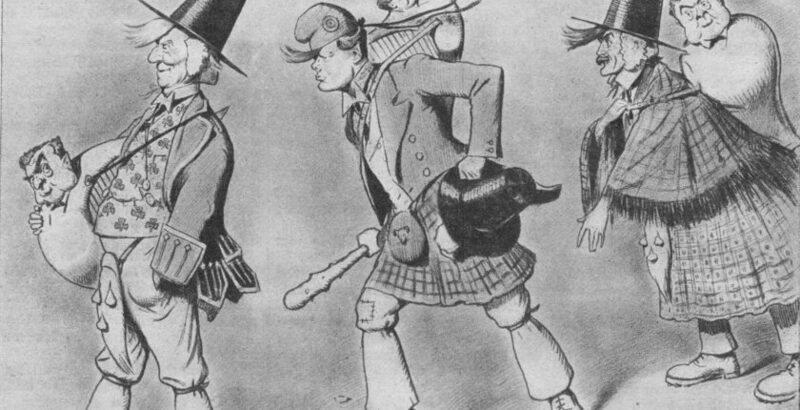 Liberal lions Asquith, Churchill and Lloyd George, by Leonard Raven-Hill in “Punch,” 2 February 1910. In the bag: John Redmond of the Irish Parliamentary Party. The Liberal government had barely survived the January election. Churchill, who’d campaigned for Irish Home Rule, was “the Ministerial Boy with his wild harp slung behind him.” In a more literate age, everyone recognized the words of Thomas Moore’s beautiful song of the 1798 Irish rebellion, “The Minstrel Boy.” John McDermott’s rendition is on YouTube. Born in Glasgow in 1883, Andrew MacLaren was active in the Scottish Liberal Party. He was with the United Committee for the Taxation of Land Values in London in 1910, when Churchill sent for copies of Henry George’s works at the time of the great battle over the “People’s Budget.” In 1970, MacLaren was one of the few alive who could speak from personal and intimate knowledge of “Churchill’s radical decade” as a young Liberal reformer. As Labour Member for the Burslem Division of Stoke-on-Trent, MacLaren advocated Free Trade and the Land Values tax theories of Henry George. To the consternation of his socialist colleagues, MacLaren opposed the Welfare State and nationalization of industry. Instead he sought an alternative to dealing with the basic causes of poverty and injustice. 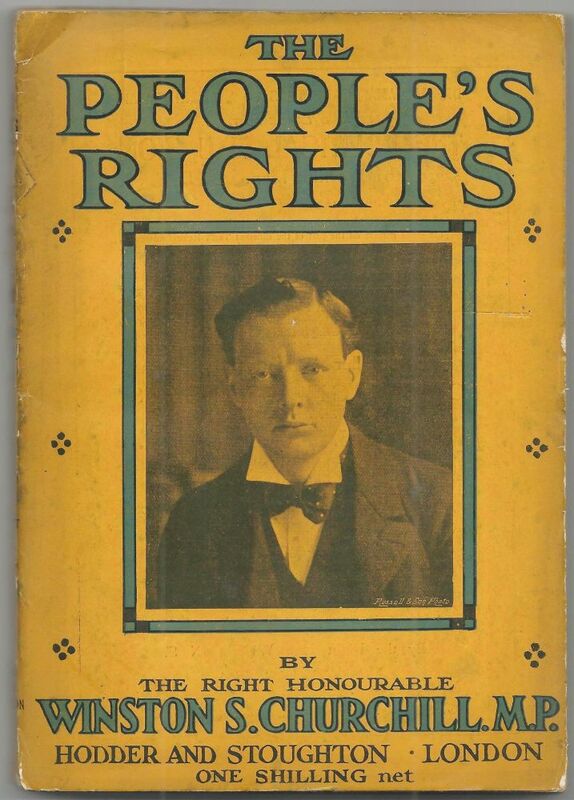 In 1970, Jonathan Cape published a new edition of a largely forgotten Churchill work, The People’s Rights. Andrew McLaren, then 87, wrote an accompanying publisher’s pamphlet, the contents of which are reproduced below. MacLaren owned a 1910 first edition, possibly the copy Cape used to off-print the new edition. The republication of any Churchill work after sixty years is an event commanding widespread public interest. Such attention is owed the rich desert of The People’s Rights, first published during the election of 1909-10. That was when Churchill delivered the speeches which comprise his book. It’s astonishing that so vivid a portrayal of Churchill should have lain out of print from 1910 to 1970. Yet modern readers will miss much if the book is read only for young Winston’s brilliant and sometimes surprising insights. The principles and aspirations set out here are not those of an individual. They are the life force of a great movement that reached its zenith in the Liberal Governments of Sir Henry Campbell Bannerman and Herbert Asquith. The landslide Liberal victory of 1906 swept Churchill, who had only recently joined that party, into government. The Liberal vision was to eradicate poverty and social injustice, without diminishing the liberty and independence of the individual. The incentive would remain for people to develop for their good and that of the community. Churchill and other Liberals encountered fierce opposition from powerful interests, even within their own party. The House of Lords overwhelmingly disapproved. 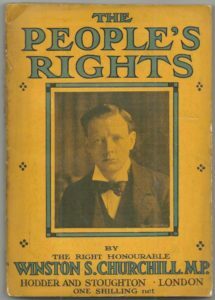 The struggle with the Lords, following their rejection of the so-called “People’s Budget” in 1909, led of course to the introduction of the Parliament Act 1911. In 1904, Churchill had joined the Liberals as the party of Free Trade. But he soon became the equally fervent and conscientious exponent of other Liberal causes, now little remembered. Apart from Free Trade, the great economic and social issues were taxation and the alleviation of poverty. The Liberals wished to remove the basic cause of the problem, not just to mitigate its undesirable effects. 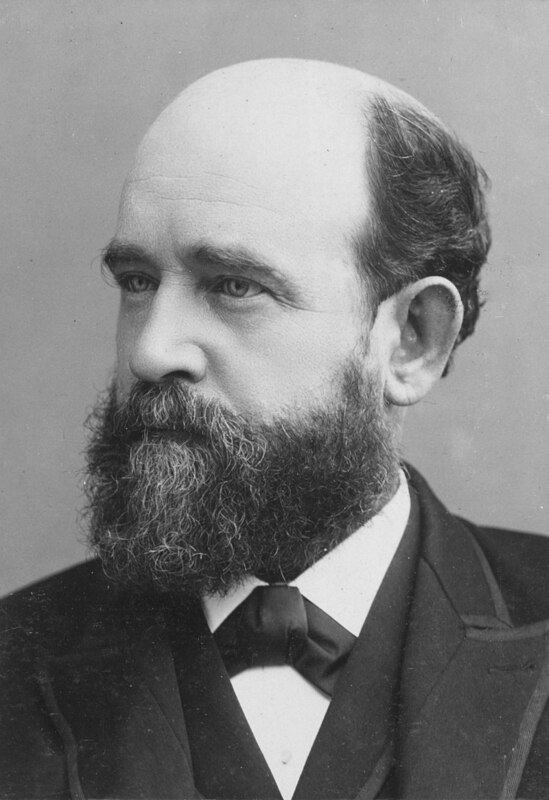 Towards the end of the 19th century, the American economist Henry George examined the paradox of the age in his book, Progress and Poverty. His principles had a major impact, first upon the radicals of Scotland and Ireland, including Campbell Bannerman; and later upon the policy of the Liberal Party. George propounded that people have the right to possess what they produce, or receive in exchange for their work. But there is no such right to private ownership of the elements upon which all depend—air, water, sunshine and land. George held the right of access to these basic elements as strong and equal as the right to life itself. Private ownership of basic elements, he said, means and suppression and exploitation of one class by another. The consequent injustice must become more acute as the community develops. It became a major point of Liberal policy to shift taxation from production and to raise taxation upon the value of land. They abhored the tremendously high prices demanded for commercial land created by the existence and work of the community. A natural source thus arises from which the community may meet its growing needs without discouraging production or inhibiting the growth of earnings. The propositions of George can rarely if ever have enjoyed a more brilliant advocate than Winston Churchill. If the forces of social change pursued these principles, the present state of Britain might be quite different. As it was, war and internal feuding dissipated the great power and intellectual prowess of the Liberal movement. Under the cruel heel of war and unemployment, Britons came to value security more and independence less. The emphasis in social advance shifted to the massive provision of public benefits, increasing State intervention in human activity. The two World Wars and the great depression between them severed, to a great extent, the line of Liberal thought that had developed over the previous century. Of Churchill himself, one can only feel that he was fated to be the great war leader. Certainly, opposition to communism and later to the rise of European tyrannies dominated the remainder of his political life. It is ironic that many voters dismissed him in 1945 thinking him incapable of dealing with social problems. Churchill’s book tells a very different story. It comes not as a document of historic interest but as a challenge to politicians, indeed to the entire electorate, to consider again the causes of poverty and the basic issues of social and economic justice. Perhaps current disillusionment with politics springs from a sense that if justice in the community can only be achieved at the expense of individual liberty, the price is too high to pay.